I have more than 20 years experience delivering robust, scalable, cost effective IT Systems to businesses of all sizes. Great IT Support and friendly Website Design services complete a full service offering that can help your business do more both on and offline. I work in partnership with my clients, advising them how to leverage best of breed technology that can help them meet their objectives and overcome challenges. Through effective collaboration I help businesses improve the structure and efficiency of their IT systems and provide a genuine return on investment. By offering strategic guidance, project planning, procurement and technical implementation I’m able to manage projects large and small from conception to completion. We are Grace & Rose, a family run, independent estate agency based in Billericay & Brentwood; but you won’t find us in a showy shop on the high street. That’s because we’re one of the UK’s growing number of hybrid office based agents; cleverly combining the best of traditional estate agency, with the cost saving benefits of online. The result? The finest sales & lettings service at a refreshingly affordable price. So why choose Grace & Rose? If you’re thinking about selling or letting your home, the first thing you need to know is ‘how much is it worth’? Call today to arrange your free, no obligation valuation visit, and we’ll advise you on how to get the highest price possible for your property. With over 90% of buyers & renters now searching online for their new home, professional photography is no longer a nice to have; it’s a must. That’s why our professional photography service is included FREE as part of our sole agency sales service. Vendor with a property to sell? Landlord in need of a great tenant? Our tailored approach means that you can enjoy a bespoke sales or lettings service to fit your specific needs, and all at a refreshingly affordable price. Let’s talk! We are a small, family run agency with a life-time’s knowledge of the local area and a dedication to delivering a refreshingly personal service that is second to none. We’re unapologetic in our determination to make the process stress-free for you. Put simply, we won’t rest until you do. Greenhouse Marketing is a marketing focused, graphic design agency based in Romford, Essex. Whether you need a logo, a new brand image, brochure, leaflet, website, advertising, video, exhibition displays in fact anything that communicates about your business or organisation and you are looking for new ideas Greenhouse will make you stand out, be different and above all sell. Any agency can give you design work. But at Greenhouse we think strategically. We used to be clients ourselves so we understand what you want and how you want it. Results are what it’s all about in our book. If it doesn’t sell then it’s not doing the job. Our original marketing solutions have achieved some staggering results for our clients. These are not all big spending companies, many are small local businesses that got a big return on a limited budget by using Greenhouse. 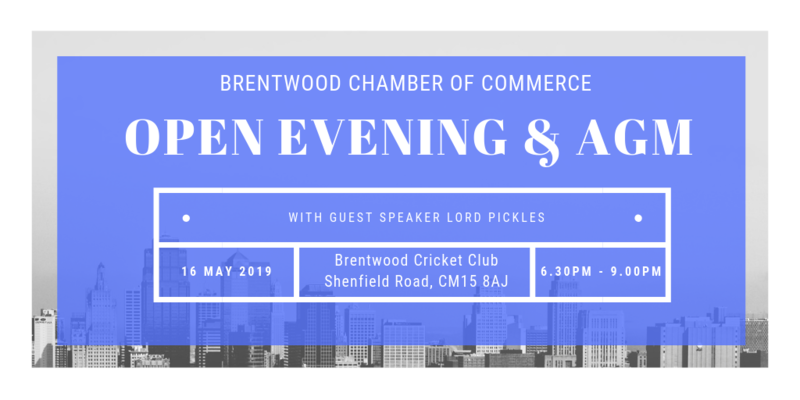 Hi Neil, the main reasons I want to join the Brentwood Chamber are for the networking opportunities it will provide and to see if there are areas I can get involved, make a contribution in areas that come under my skill set. I was very impressed with the last two Brentwood Showcases I attended and feel Brentwood is an area where there is good business to be done. English, Maths, ICT training/tutoring for children and adults. Personalised, confidence boosting and resilience building 1-2-1 or small group learning. I have rented a property at 16 St Thomas Road, Brentwood, CM14 4DB to provide services to the local businesses and people in the locality. I aim to provide Coaching and proven strategies for enhancing well-being in the workplace, for individuals and young people. I am currently studying for a Masters in Applied Positive Psychology and Coaching Psychology to enable me to deliver these services. Together with this, I am also providing a tutoring service for English, Maths and ICT for adults and children, with the emphasis being on enhancing and improving self-confidence and self-resilience. I have taught in secondary schools (for 12 years) and have been a tutor for a well-known tutoring company for the last 4 years. Prior to that I worked for BT in various roles for almost 20 years. My reasons for wanting to join the Brentwood Chamber of Commerce is to work collaboratively with local businesses so that the local community can benefit. To identify local businesses, use and promote them would be something that I would like to be able to do. As I work on my own, currently, to connect with small businesses like me and get the help, support and advice would be something that would help me realise that I am not the only one who is facing the issues that I am.